A few weeks ago I did a Q&A with the Marxist Education Project in New York, as part of their reading group on “Science, Politics, and Culture in the Anthropocene.” What follows is a very approximate and idealised summary of our conversation. My thanks to the participants for their questions, and especially to Fred Murphy and Steve Knight. MEP: You’re a lecturer in English literature. Where did the idea for this book come from, and why did you decide to write it? erinaceus: I get asked that a lot. It’s a very reasonable question, though I’ve always been grateful that my university department didn’t ask me too many questions about why I wanted to do a book that wasn’t about English literature before granting me the research time to write it. I’ve always found it hard to come up with a response. The answer that seems to best satisfy people is that I was wanted to understand where the current environmental crisis started from. (Or that, like Tolkien’s Sméagol, I was “interested in roots and beginnings.”) Wild animal populations have crashed compared to what? The climate has changed compared to when? Right at the start, I thought that the answer was “compared to the early Holocene epoch.” I thought that there was a baseline, a few thousand years ago, and that we could conceptualise the environmental crisis in relation to that baseline. Of course I could hardly have been more wrong. I suppose that’s why in the book I put so much emphasis on the principle that it’s wrong to think of the Holocene and the Anthropocene as a single dyad, somehow separate from the rest of geologic time. You have to trace the story back, and understand something about the many different cycles and temporalities that the current crisis is a part of. In 2009 I happened to pick up the latest issue of Critical Inquiry in the university library, and I read Dipesh Chakrabarty’s essay “The Climate of History: Four Theses” there. That essay turned on a lightbulb for me, as it has done for many other people. 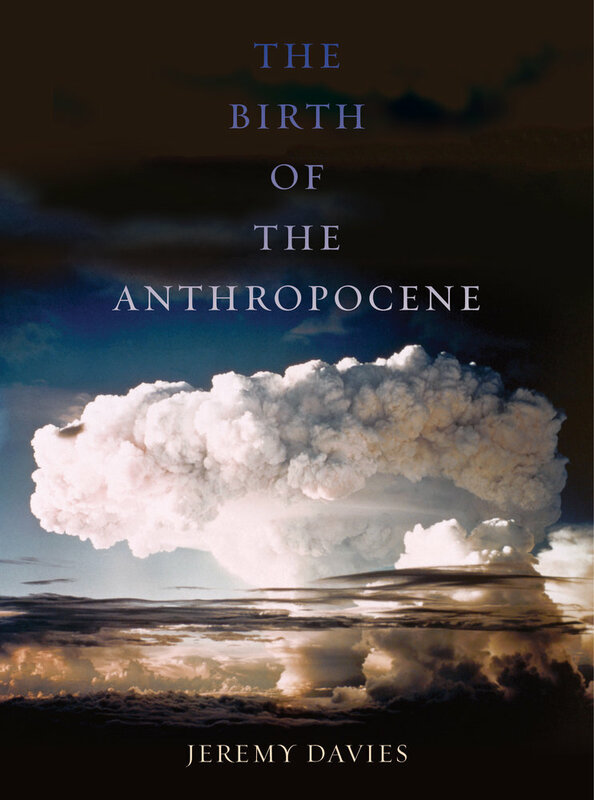 It may well have been the first time I encountered the word “Anthropocene.” That’s where the book started from. What has its critical reception been like? Do you have a sense of who your readers are? Well, since you ask: the reviews that I’m aware of so far have come out in the London Review of Books, the Times Literary Supplement, Climate and Capitalism, World History Connected , the Quarterly Review of Biology and the Glasgow Review of Books (all open-access), and Green Letters, the Journal of Interdisciplinary History, the British Journal of Sociology and Capitalism Nature Socialism (all paywalled, I think). They’ve all been welcoming, except for a more or less sniffy and confused one in the TLS. People seem to be finding it a helpful introduction to the field, which is the first thing I was going for, and they seem to be receptive to the argument that before you can start making sense of the current crisis, you have to set it in the context of geologic time—which isn’t a very obvious view to take, so I’m glad that it’s seemed plausible. But beyond those reviews I don’t really know who’s been reading the book so far, or what they’ve thought of it. That’s why I was glad to have the chance to talk with you! I know it’s been set on some student reading lists. But as for what will become of the more intricate debates about the stratigraphic versus the Earth systems versions of the Anthropocene, or the historiography of the transition from the Holocene to the Anthropocene, or the political entailments of the concept… I suppose I’ll have to wait and see. Has your thinking changed at all since the book was published? [The audio connection for this question was a bit fuzzy, but I think it was something like] Chapter five has a lot of information in it. Why is it organised the way that it is, into twelve different sections? Yes, I think chapter five (the historical sketch of the Holocene epoch, millennium by millennium) tends to be the one that bugs people. I know it reads a bit like a jumble of information, even though the whole book is meant to be as clear as possible. But I felt I’d have been giving short change if I hadn’t included it. My argument emphasises historical contingency and unpredictability. I always felt it would be meaningless simply to describe that theme in the abstract. The only way to properly convey it is to give actual examples of what that contingency meant. That’s what the chapter on the Holocene tries to do—and that’s why it had to take the form of an undiluted one-damn-thing-after-another chronology, split into twelve equal thousand-year chunks, rather than a tidily purposeful narrative of ascent from the village to the megalopolis or whatever. That also seemed the right form for illustrating both the fact that the socio-ecological systems of the Holocene were very far from unchanging, and the fact that contemporary environmental changes dwarf those seen during the Holocene. The important thing is that the Holocene wasn’t absolutely stable, but stable within certain parameters, right? Yes, exactly, it’s all about getting a sense of scale. Overall global temperature varied by less than 1°C within the Holocene. That absolutely doesn’t mean that there was no climate change during the Holocene. Within that 1°C envelope there was room for dramatic, sometimes destructive, local to regional to continental scale climate change—and especially for very consequential long-term changes in rainfall patterns. But 3–4°C of global warming during the 21st century would be something else entirely. You can say something very approximately similar about species extinctions, land use change, and so on. It’s just that it’s all difficult to visualize. An inspired XKCD cartoon that I’ve written about here is a great help with picturing that contrast. You contrast the idea of the Anthropocene to the idea of sustainability. What exactly are your reservations about sustainability? I think that “sustainability” is often fine as a guiding light up to a certain point, but that under the wrong conditions it can lead you to a superstitious belief that “nature” (as opposed to human beings) ultimately has a default state in which it would like to remain for ever and ever if given the chance—and that environmentalists’ main job is to give it that chance. He [sc. erinaceus] criticises 1960s’ and 1970s’ “limits to growth” arguments, essentially continued in contemporary accounts of “planetary boundaries” (198), and is sceptical of what he rather vaguely nicknames “bourgeois ‘ecologism’” (199), citing the work of Andrew Dobson as an instance of it. It seems, however, rather a sweeping caricature of many environmental invocations of sustainability to argue that the stress on the limits of nature directs too much attention away from the kinds of social and economic relations between people that determine such supposed limits, or to argue that environmentalists who see the goal of their work in some kind of stasis of achieved harmony between the human and its natural context are merely indulging a fantasy which the neocatastrophist view of earth science rules out from first principles. There is surely some blurring of time scales beneath Davies’s objection here. A relatively harmonious or sustainable relationship between human societies and their planetary context could conceivably exist for very long time on the human scale, and remain a worthy goal, without thereby belying the truth of neocatastrophism. I’m not sure that “nicknames” is completely fair: “ecologism” is Dobson’s own word (and I did call Dobson the “doyen” of it, as well as “bourgeois”…). But Clark is definitely right to say that we shouldn’t caricature the many-sided concept of “sustainability.” (As it happens, a long time ago I wrote a whole essay about different versions of sustainability.) I agree with him that there’s much more to the ideal of harmonious coexistence between the human and the nonhuman than mere wrongheaded fantasy. I take his point about the blurring of time scales, and I can only concede the force of his final sentence above. The sustainability versus neocatastrophism debate, if you want to call it that, is about the first principles of environmentalism. That debate about underlying principles will only ever have a very attenuated and indirect influence on how we make our minds up about specific policy or practical issues (say, vaccinating badgers against tuberculosis, or where to buy your electricity from, or the relative merits of the Green party and the Labour party, or whatever). But in the long run the underlying principles do matter, of course. NASA used Newtonian mechanics for the moon landings. They disregarded general relativity, because the practical differences from Newtonian physics were trivial for their purposes. But GPS does rely on general relativity: it couldn’t work on Newtonian principles. It’s the same here. An ideal of sustainability will often lead you in the right direction, sure, but there’s eventually bound to come a point when only a geological perspective will give environmental thought the precise orientation that it needs. You allude to the Book of Job at one point, but without explaining that that’s your source. Here in the US, a lot of people probably wouldn’t recognise the reference. I’d have thought Job would be familiar to more people in the US than the UK, actually… This is the very end of chapter one. My copy-editor and I went back and forth about whether to provide an endnote there. We decided in the end that it would be too much like over-explaining the joke, so we left it for people to work out for themselves (it does say that these are “biblical”-scale changes). But yes, the penultimate paragraph in that chapter is Job 38, verses 8 and 25–26, in the King James Version. Obviously, the point is that all these things that the author of Job thought could only be the work of God have now been accomplished, sometimes inadvertently, through human doings. It’s not a brilliant joke, I know. You emphasise the fact that the climate changed a lot before humans came along. Do you think there’s a risk that that “catastrophist” discourse about climate change can be appropriated and exploited by climate change deniers? Yes. Climate change deniers often do make much of the fact that “the climate has always changed.” But the way to deal with that red herring can only be to explain what it really means: Earth’s climate system is susceptible to destructive changes, and now it’s happening again. Skeptical Science responds to this appropriation of climate history as well as anything else I’ve seen. Do you teach a course on the Anthropocene in your university department? No. I teach courses on environmental literature, and we often explore issues of long-term environmental change and its representation there. But I tend to shy away from the word “Anthropocene” in lectures and seminar rooms. That’s not a well thought out principle, just a habit I’ve fallen into. Truth be told, I sometimes find the profusion of vague references to the #anthropocene in academic literature just a little bit tedious. Why is your blog called Made Ground? Is that a geological term? Yes! It’s a phrase used in geological mapping to mean areas of land covered with man-made stuff: embankments, spoil heaps and suchlike. So the blog is a collection of odds and ends. It’s also a pun, of course: ground made towards a better account of the Anthropocene. I wrote about that in the first post on this blog, here. The close of the Holocene epoch and the birth of the Anthropocene. Ecological politics in the time of the long crisis. Internet opinion-pedlary, keeping tabs on new work in the field. Welcome!